If subtle elegance, texture and classic beauty is your thing, then please allow us to introduce you to Christos Costarellos. This amazing celebrity designer has a new 2015 bridal line that is full of thrills, frills and absolutely gorgeous dresses. The texture in this dress alone is enough to turn heads for days. Featuring cutout work, lace and gathers, this dress has a boho feel that is elegant and beautiful. We love the long, flowing shape of the dress and feel that it’s perfect for a rustic, vintage or even a beach wedding. The sheer, flowing line of this dress is just unbelievable. The fabric and color are immaculate, and we love the very subtle ruffles at the bottom. 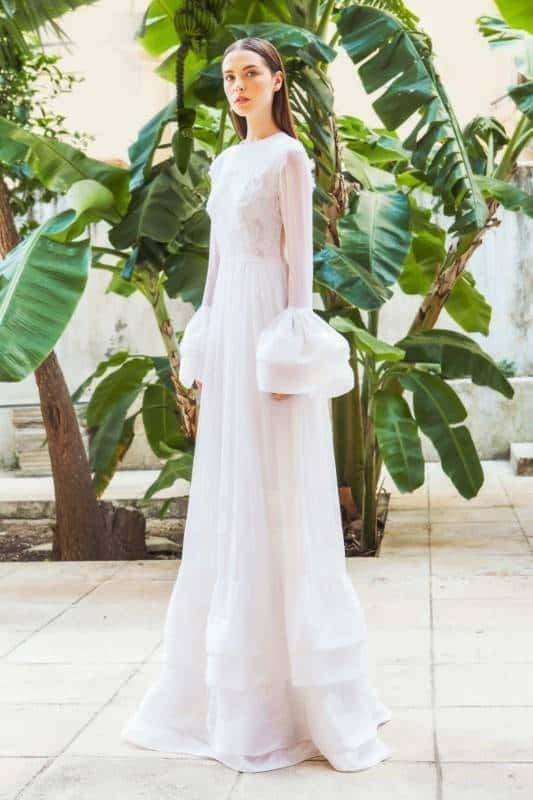 Those bell sleeves are gorgeous – often times with this designer, it’s the details that simply make the whole dress stunning. Brides who are looking for a vintage, timeless feel will absolutely love this one. It features a lace bodice and sleeves that are reminiscent of weddings in the 20’s and 30’s. The long, flowing skirt is flattering for all body types and gives the dress a floating quality. Perhaps our favorite dress in the whole collection, this lace sheath dress is simply magnificent. It’s timeless, classic, flowing and gorgeous – elements we feel should be present in every single wedding dress. From the cap sleeves to the small train, this dress is simply beautiful. Do you find yourself drawn to any of these dresses? Which one is your favorite? 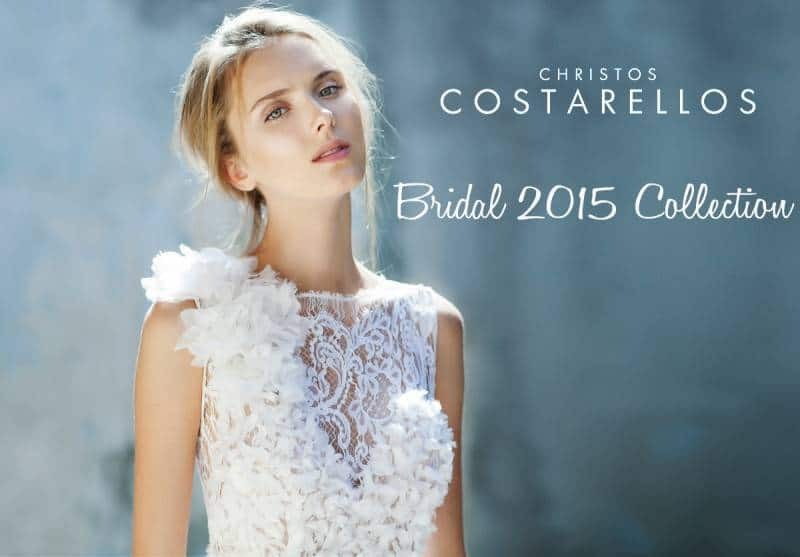 If you’re a bride looking for the elements present in the dresses we’ve highlighted today, we suggest you take a look at Christos Costarellos’ entire line of dresses – the dress for you may be hiding in it!